Share YOUR Love Story with your Wedding Guests! We are excited to share with you a beautiful new product that our entire team has fallen in love with - the Story of Us Alternative Guest Book and Box. 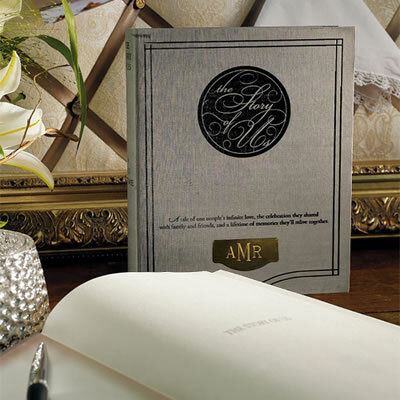 This classic vintage looking book turns your practical guestbook into a keepsake and timeline of YOUR love story. Fill in the pages with the story of your first date, how he proposed, your family trees and so much more. As your guests sign in, they have the opportunity to walk down memory lane as they read the account of your "Story of Us". 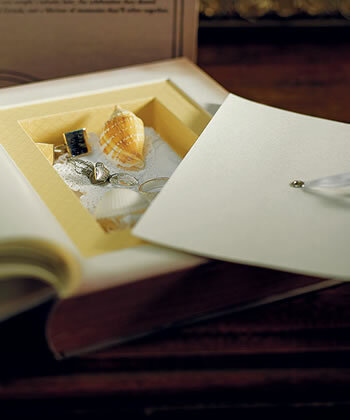 This unique guestbook also offers a small hidden compartment for a few select keepsakes such as marriage vows, your "something blue", grooms cufflinks, bridal jewelry etc. This is so incredibly romantic, we couldn't wait to share! The book can personalized on the gold metal plate on the outside of the guest book - you can choose to Monogram, initial or put your full name in Script or Roman Text. Be sure to order your guest book early so you have time to complete your story before the wedding! For more wedding favors and accessories, check out WhereBridesGo.com! What Famous Weddings Should We Feature? !